The Motorola Moto G4 plus Complementing the beautiful body is this phone's stalwart performance. The 5.5inch screen of the Motorola smartphone equips the FHD IPS LCD technology to offer a crisp and vivid visual experience. To improve your user experience, this phone includes the Android v6.0.1 Marshmallow operating system. This device offers a storage capacity of 16GB that ensures that you can store a lot of music, movies, videos, and ebooks for providing you entertainment on the go. Life moves fast. Move faster. Forget about typing your passcode. Simply touch the fingerprint reader to wake up your phone and unlock it. Unlike some phones, Moto G Plus recognizes your fingerprint no matter which way you hold it. 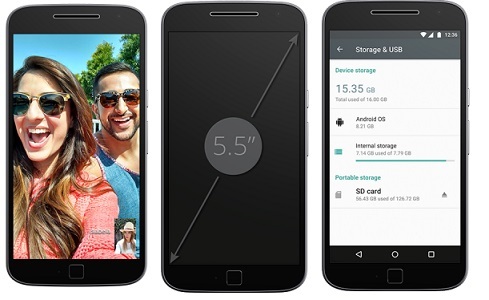 Moto G Plus gives you the most advanced 16 MP camera in its class. Say goodbye to blurry photos thanks to two additional auto-focus technologies. Laser focus and phase detect auto-focus work quickly so you never miss the shot. 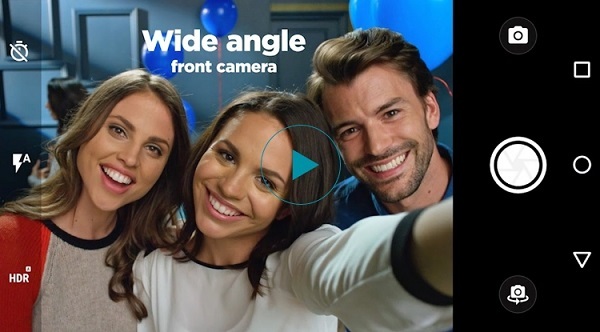 Plus, a wide-angle 5 MP front camera helps fit everyone into group shots. Give your battery a quick energy boost so you can power up and get going. 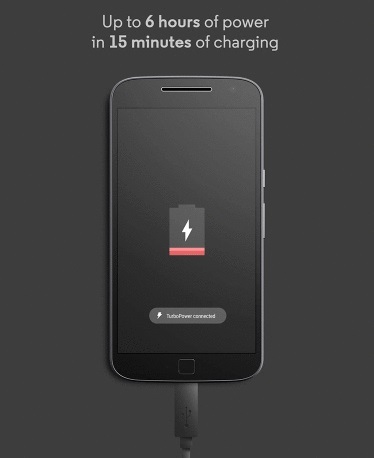 The included Turbo Power charger gives Moto G Plus up to 6 hours of power in just 15 minutes of charging.